"The human readable source file is converted into an object file by the assembler. 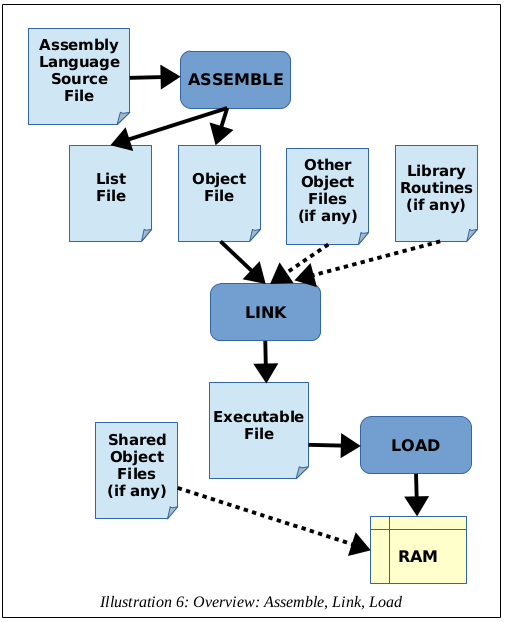 In the most basic form, the object file is converted into an executable file by the linker. The loader will load the executable file into memory."